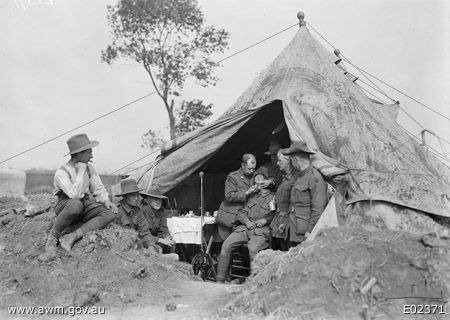 A short history about the dentists that served Australia during times of conflict. The Royal Australian Army Dental Corps was officially formed in 1943. There had been efforts made to form a dental service in the Australian military prior to this but it remained part of the Australia Army Medical Corps until then. 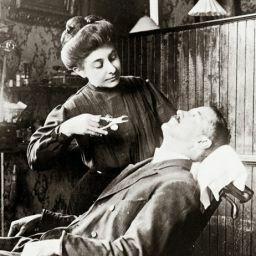 When war broke out in 1914, the Australian government initially saw no reason to provide dental services to soldiers, even though a number of dentists volunteered for active service. The Army thought that doctors could look after the soldiers teeth and all doctors were provided with a pair of dental forceps. It was believed that men who enlisted with bad or missing teeth could have problems serving so a dental officer was available to advise medical staff but he had no authority to provide dental treatment. Local dentists and dental hospitals were aware of this situation and some provided free treatment to soldiers while they were training. This meant that the Army was rejecting fewer men because of dental problems. Problems however continued with the armed forces overseas due to the lack of dental treatment and by mid-1915 over 600 men had been evacuated as dental casualties. In February 1916 specific dental units were created and embarked with troops. These units were attached to the Army Medical Service initially but towards the end of the war the name Army Dental Corps was being used unofficially. Initially, the ranks held by dental officers were honorary, but in June 1917 these were made substantive. By the end of the war, there were 130 dental officers serving overseas, representing a ratio of one dental officer per 4,250 men. 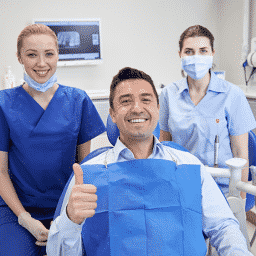 After World War I the need for dental services in the armed forces was greatly reduced and treatment was largely provided by civilian dentists. When World War II began a small number of full-time dentists were recruited into service. By October 1939 dental units were formed. 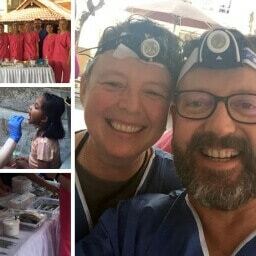 To begin with dental equipment and supplies fell greatly short of what was required, with a single division requiring an estimated 50,000 fillings, 40,000 extractions and 10,000 dentures. In April 1943 authorisation was given for the Australian Army Dental Corps to split off from the Medical Corps. By 1944 the corps consisted of 435 dentists and by 1945 they were assigned a burnt orange rectangular colour patch as their symbol. Throughout the war dental units were deployed with the fighting troops into all areas, including the Middle East and the Pacific. Dental units went on to serve in Japan in the post war period and later to serve in the Korean War, the Indonesian–Malaysian Confrontation and Vietnam. In the 1990’s they served in Northern Iraq, Somalia, Rwanda, Bougainville and East Timor. France: Picardie, Somme, Bussy. A dental officer of the 34th Australian Dental Unit, working at an advanced post. The sides of the tent was revetted, as the staff sleep within and the Germans dropped three bombs within 100 yards of this place one evening. This was the most advanced unit working in the Corbie Sector during June and July. It gave attention to men requiring immediate relief from the front line and support line. The unit worked here for about seven weeks. Who was Australia’s first dentist?